The Select team joined the Big Bang South West on Thursday 28th June to help judge the 200 science, technology engineering and maths student projects on display. From investigating the best insulator for pizza boxes to examining whether tall people have larger stomachs, the range of experiments and analysis was incredibly varied. The design and technology category proved to be exceptional with many novel and innovative ideas such as the roll-up lounger and all-terrain camera support. By giving the students an opportunity to present their projects to local businesses, not to mention being entertained by Dr Hal’s Bigger Bang science show, the Big Bang South West provides a great platform for the local science, technology, engineering and mathematics (STEM) community to come together to enthuse and inspire young people about careers. 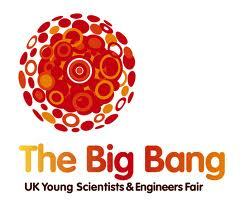 Ten of the best student projects have been selected to compete nationally at the Big Bang Fair in March 2013 in London – we wish them the very best of luck!